Took it nice, comfy, and easy for my last day at MAGIC. 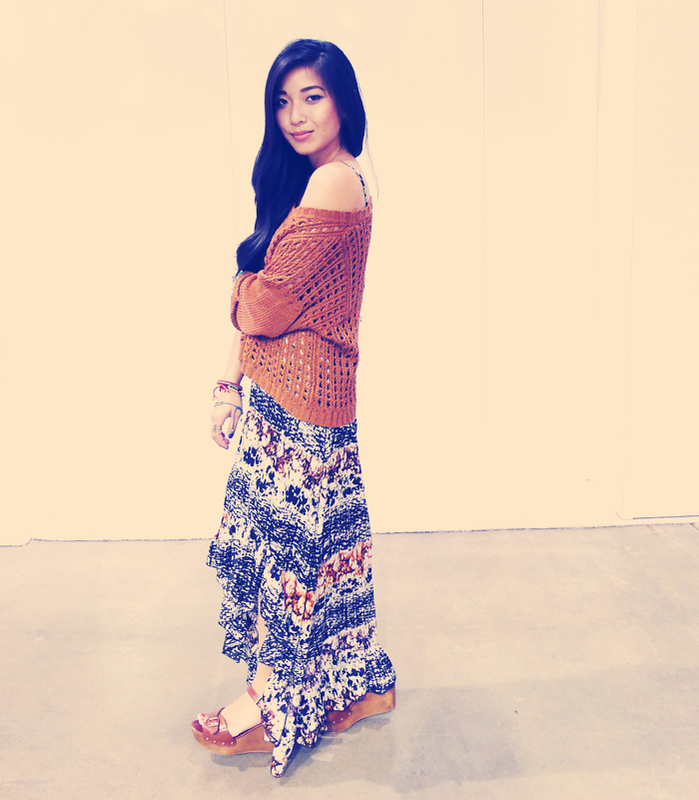 Was already exhausted in the morning so a simple throw of a soft maxi and jumper really saved my day. I went straight for this Lavender Brown dress because of its vivid print, satiny soft fabric, and playful hi-lo hem. It's funny, I went through an obsessive hi-lo phase when it popped up, then I disdained it, then I accidentally fell in love with it again as apparent in my outfit choices for MAGIC. Anyway, you totally need to check out the new brand Lavender Brown if you like classy feminine cuts with bold and fun prints. I'm keeping them on my watch list. Make sure to check back during the day for more posts on MAGIC! P.S. For fun, I took an instagram approach to my photos...what do you think? nice look! the skirt is really amazing! The tones in the pic are rad! So jealous you are at Magic. 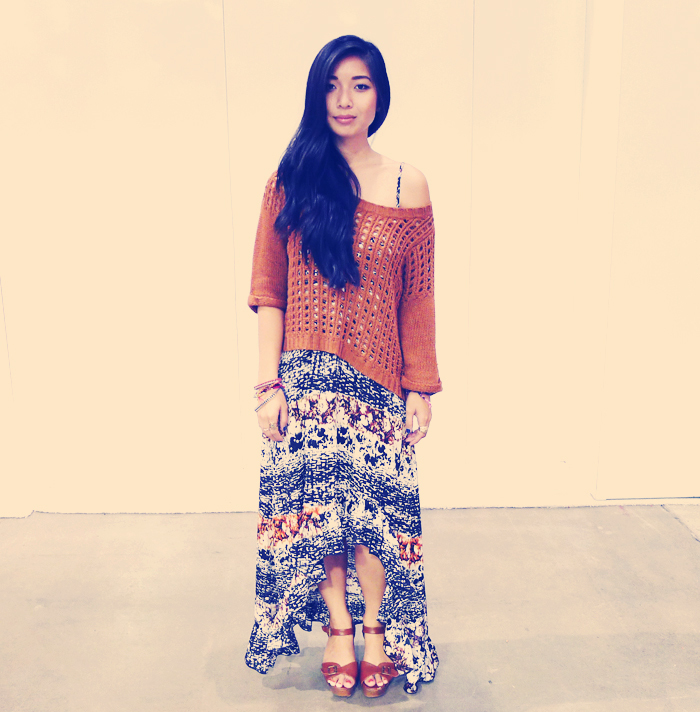 I am loving the boho chic look! Love it! You are so beautiful. love this look! the sweater over the dress, great layering! this outfit is so pretty! love your blog! we're new followers! simply gorgeous. love the way you've put this together! What a great maxi skirt! LOVE it! Amazing outfit ;) i love that skirt! Btw please take some time to check out this new Bloggers Against Social Injustice network where fashion bloggers come together to make this world a better place.